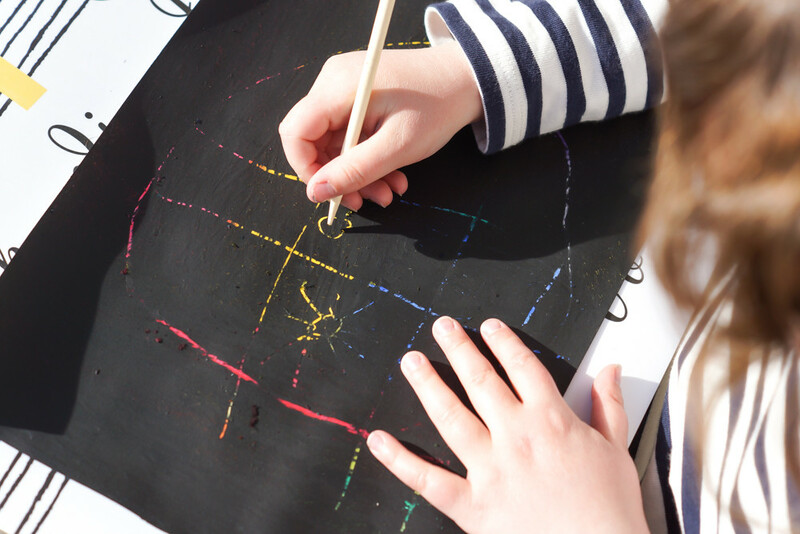 This activity is a big favorite with kids ! Do you know scratch off cards ? Why not make your own ? It is very simple. My daughter LOVES scratch off cards ! 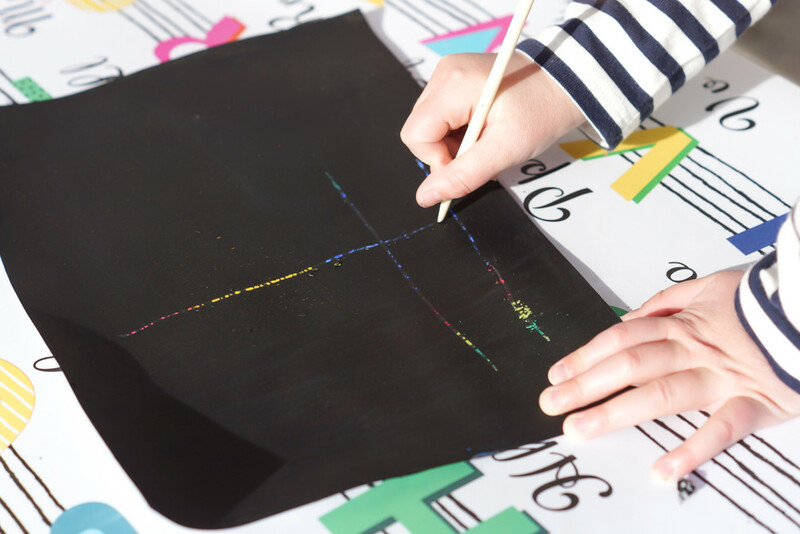 I am talking about these black cards you can scratch with a small stick to make colours appear. They are magical for kids and when all the colours and pictures are revealed it is super pretty. We love it so much. I found how to create scratch off cards on Pinterest. I could not resist and I decided to make our own to please my daughter. Here is, step by step, the way to make you own scratch off cards. 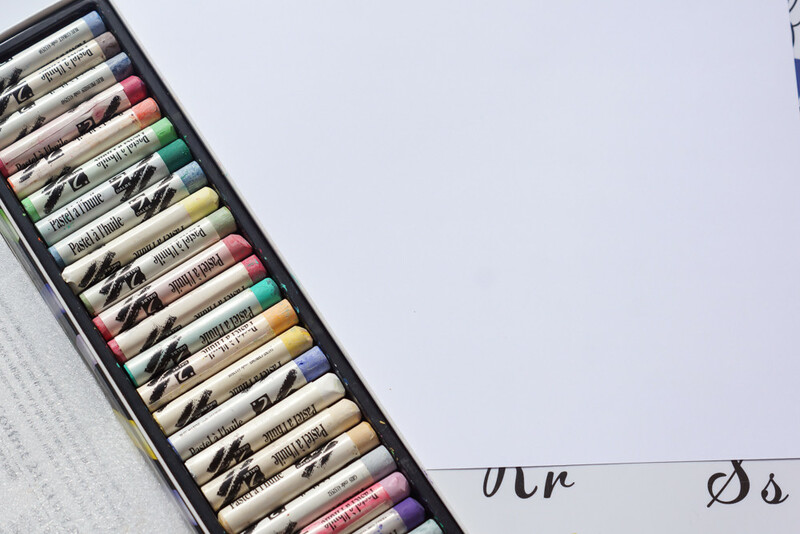 First, colour an entire sheet of paper with your pastels. Let your child free to do what he wants to, the only instruction is to colour everything. You shouldn’t be able to see a blank space anymore. 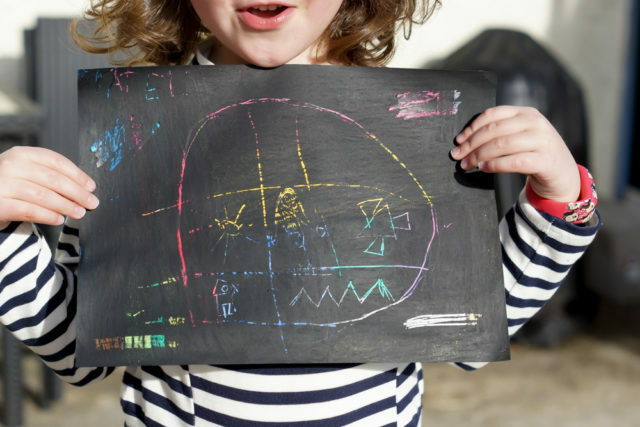 For little ones you can use half a sheet, it will be easier. 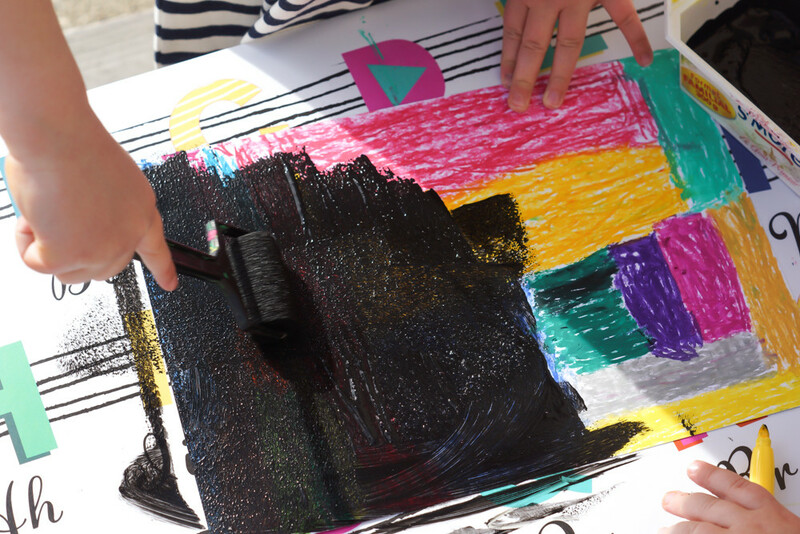 Once the sheet is entirely coloured it is time to apply the black layer. 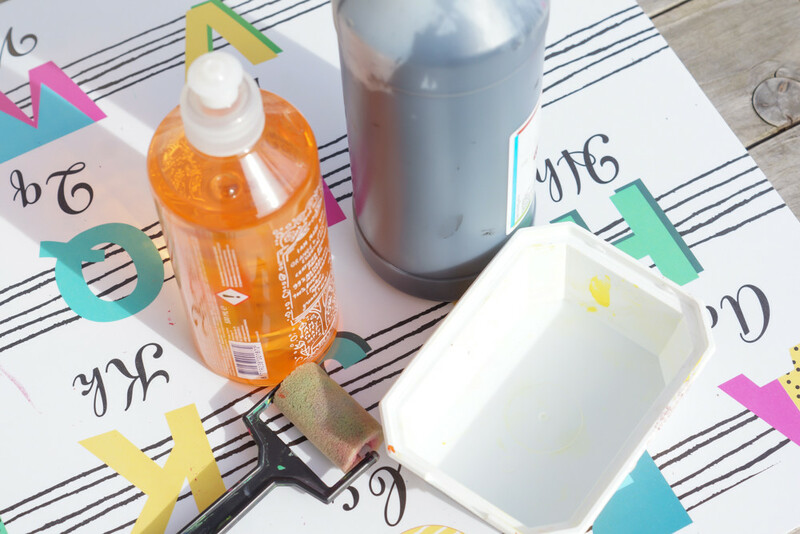 Take a little container and pour 3/4 part of black paint and 1/4 of dish soap. Now mix up your scratch off solution. Then cover the entire sheet of paper with your solution. Let it dry and you are good to go! Easy isn’t it ? Now that it is completely dry, it is time to draw. 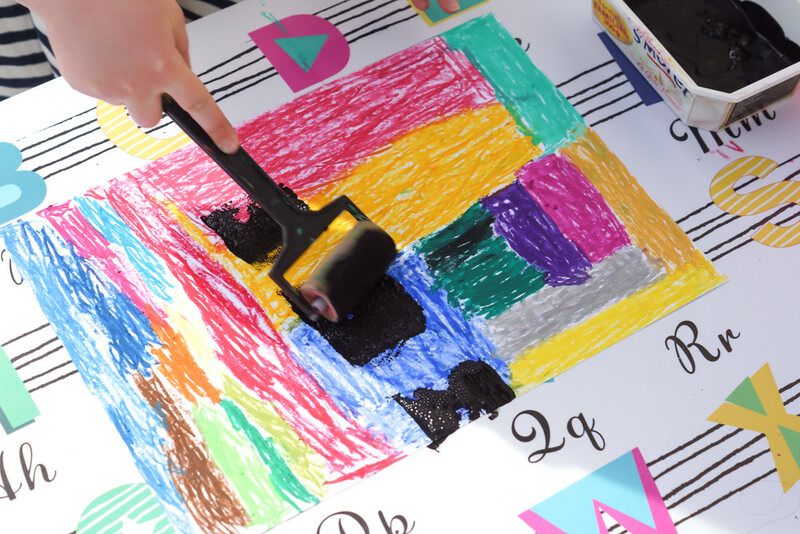 Your kid is going to be able to scratch the paint off with a scratch tool and reveal all the colours. My daughter loved to see all the colours she applied coming through. 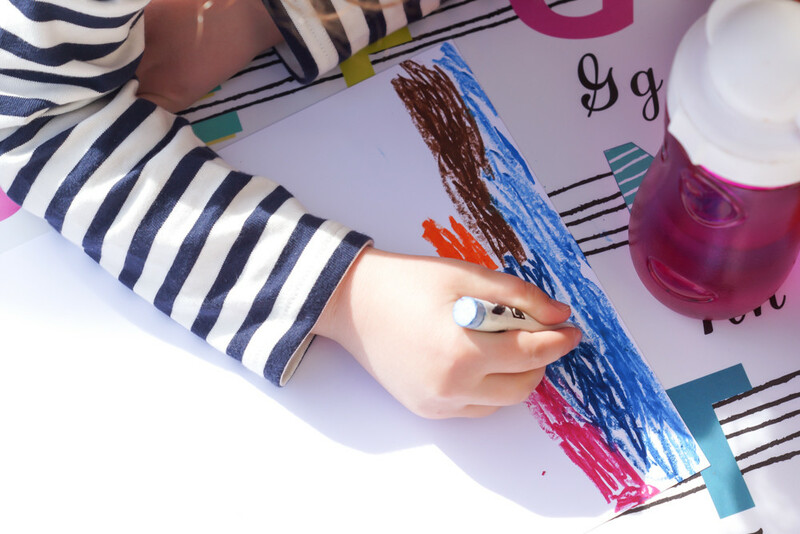 If you know in advance what you want your child to draw you can choose to place the colours as you need. For example for a landscape you may choose to put some blue colours on the top of the sheet and green on the bottom. 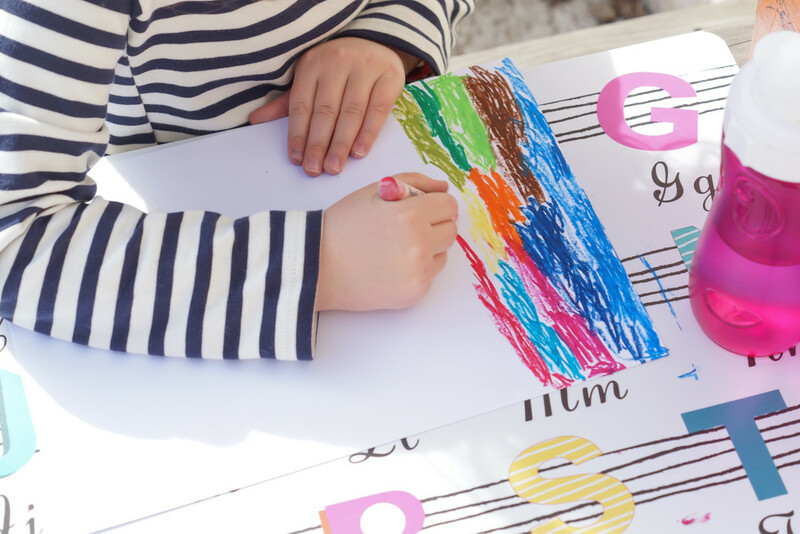 You can use this DIY in many learning projects, activities, games and for any kind of announcement or family events. You can also prepare some cards in advance to use them when you feel like it. Did you already know this technique ? How do you like this activity ? We can’t wait to see your scratch off cards, feel free to share with us your kids crafts. See you soon with a new activity. 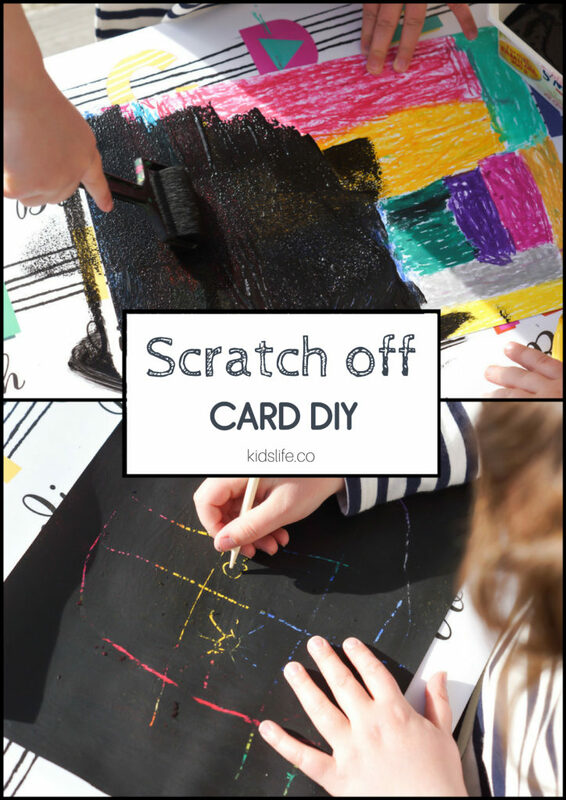 Home Crafts for kids Make your own scratch off cards – DIY time !